One of Kuala Kangsar’s more famous former residents was the novelist Anthony Burgess (1917-1993), who was employed as an English teacher at the prestigious Malay College from 1954 to 1956. His first published novel, Time for a Tiger (1956), drew on his experiences at Kuala Kangsar, which in the book goes under the fictitious name of Kuala Hantu. 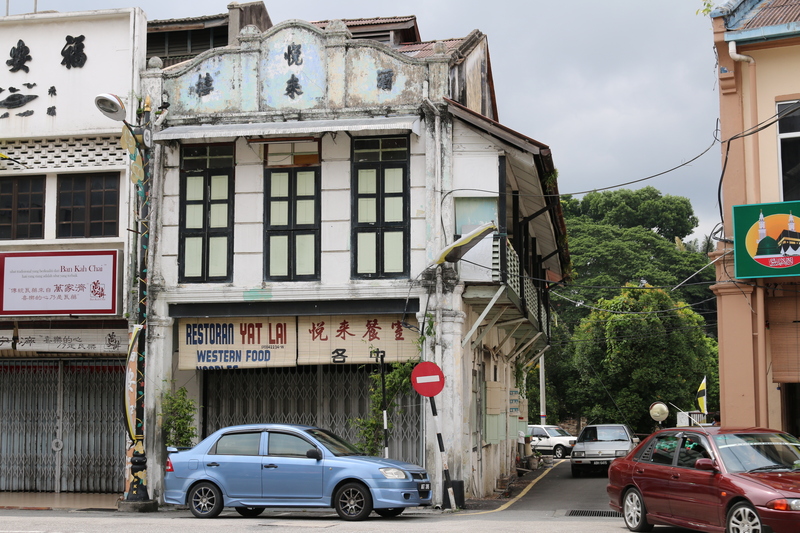 Since I was visiting Kuala Kangsar I thought it would be fun to try to find some of the places which would have been familiar to Burgess and the characters in his novel. 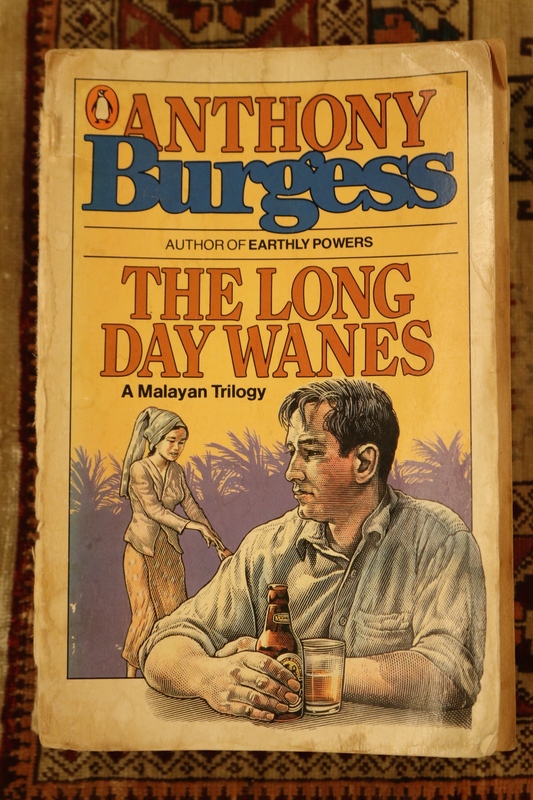 My battered copy of Burgess’ Malayan Trilogy of which ‘Time for a Tiger’ is the first novel. 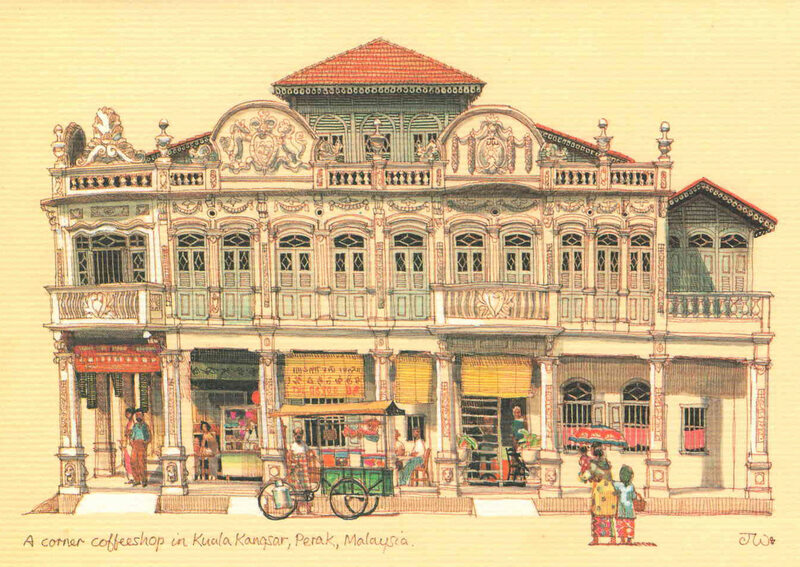 The sequels ‘The Enemy in the Blanket’ and ‘Beds in the East’ are set in Kota Bharu, Kelantan where Burgess worked after Kuala Kangsar. One of the main characters in Time for a Tiger is Victor Crabbe, who shared many of Burgess’ own characteristics and, like Burgess, was in the Colonial Education Service and a resident master at Malay College (or Mansor School as it is called in the novel). 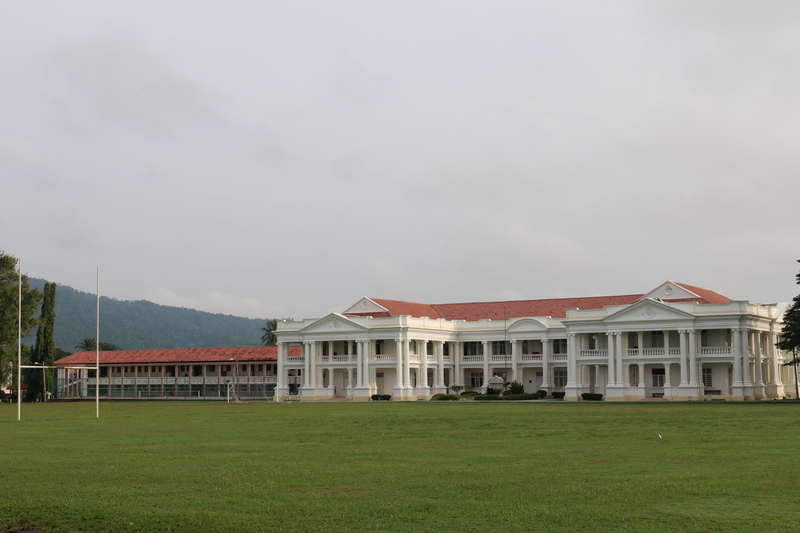 Malay College (Mansor School) was known as the Eton of the East and reserved for Malayan boys of ‘good family’. Crabbe (and Burgess in real life) could not get on with his boss, the headmaster, and requested a transfer. 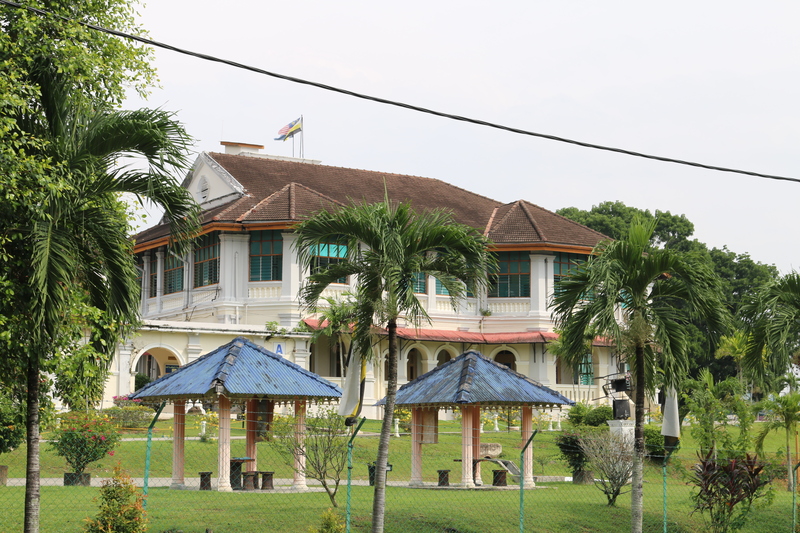 Burgess and his wife were accommodated in a second floor flat at King’s Pavilion which was once the grand residence of Sir Hugh Low, the British Adviser to the State of Perak, but by 1954 served as the prep school to Malay College. During the War, the Japanese had used the building as a torture and interrogation centre and Burgess’ bathroom was still stained with dried blood which was impossible to remove. Burgess houseboy and others claimed the house was haunted. The grounds were infested with snakes while scorpions used to get into the shoes and beds of the students under Burgess’ care. Burgess (and Crabbe) lived in a second floor flat in this building which today is a girls’ school. The flat was located on a low hill overlooking the Perak River about twenty minutes’ sweaty walk away from Malay College. Burgess had to walk because he could not drive (and Crabbe would not drive after a nasty accident in which his first wife died). Burgess was not the most faithful of husbands. He had an affair while at KualaKangsar with a pretty Malay divorcée called Rahimah who worked as a waitress in a Chinese coffee shop. In the novel, Crabbe too had a mistress, a dance hostess with the same name. 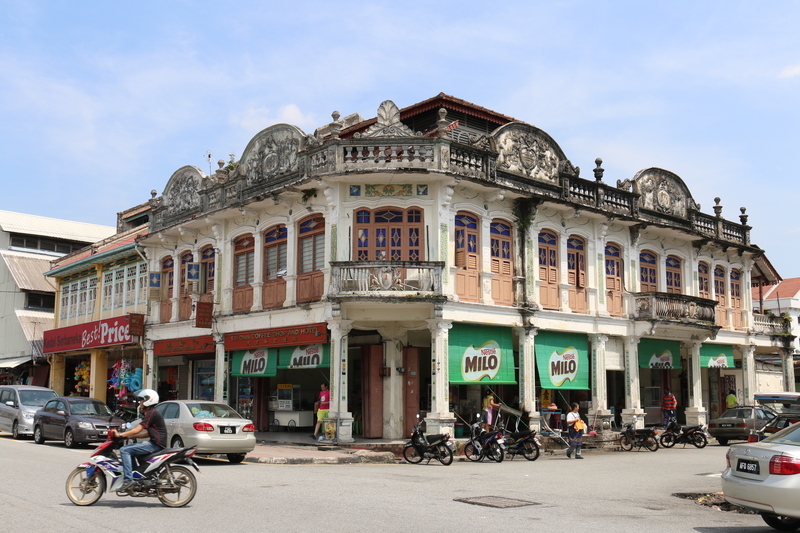 Kuala Kangsar today does not seem the sort of town to have hostess bars but I could be wrong. My favourite character in the book is Nabby Adams, a six-foot eight policeman from Northamptonshire who was in charge of the police transport pool, though he was seldom sober enough to drive. He was an alcoholic who liked to start off the day with three large bottles of Tiger (or Anchor, or Carlsberg) though he was known to polish off a full bottle of gin before breakfast (not that he ever ate breakfast). Nabby’s unquenchable thirst caused him to rack up unmanageable debts at all the dingy Chinese-owned drinking kedai-kedai that he liked to frequent. I spent some time in Kuala Kangsar trying to find this kedai, thinking it the sort of place that Nabby Adams might have liked. I eventually located it, not in Kuala Kangsar at all but in Taiping (40 km away) which would have been too far for Nabby to go to just for a drink since it was the time of the Emergency and this would have been a dangerous journey. 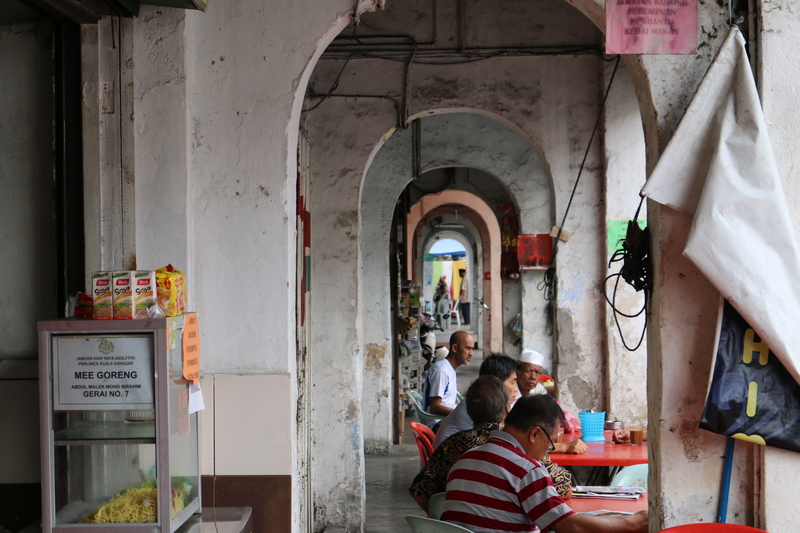 Most of the coffee shops in Kuala Kangsar these days are of the sort which do not serve alcohol. Nabby Adams would have died of thirst! This place certainly looks old enough to have been around in Burgess’ time. Perhaps they still serve beers, if they ever open, to go with the ‘Western Food’. One place that still exists that Burgess and Nabby Adams would certainly recognise is the Idris Club (in the book it is thinly disguised as Iblis Club). 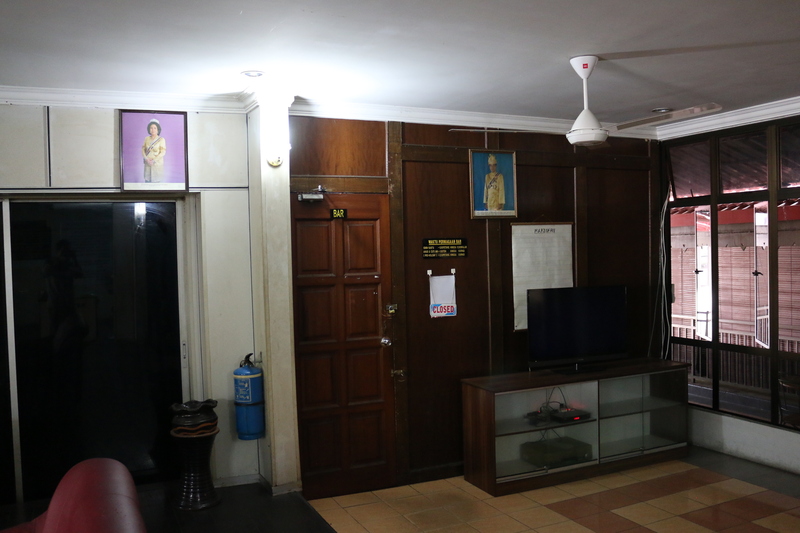 This was the social hub for the Europeans living in Kuala Kangsar and still today has the elite of the area among its members, though now virtually all Malaysians of course. 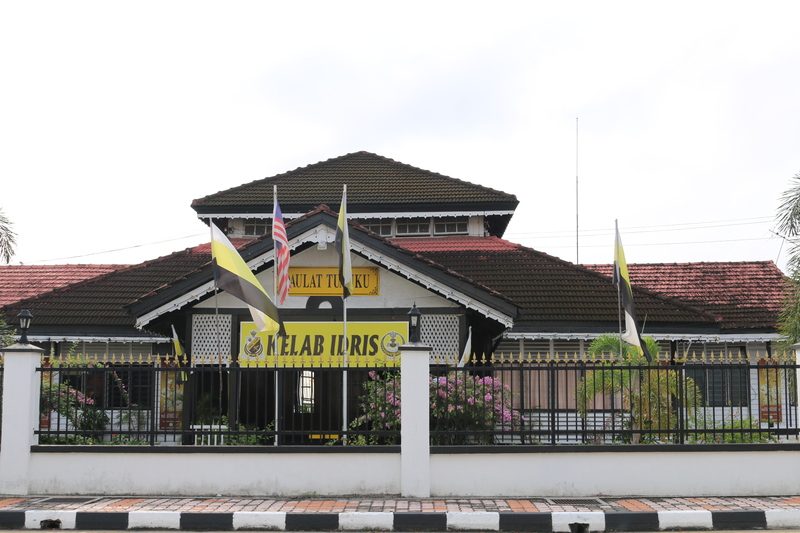 The Idris Club in Kuala Kangsar is named after Sultan Idris I. In Time for a Tiger it went under the pseudonym of Iblis Club. For Nabby Adams this was the drinking hole of last resort because had to keep his bar tab within reason and also he would not like to get drunk in front of his fellow Brits in case word got back to his bosses. But still, if somebody else was paying, Nabby would have a Tiger or six here. The somewhat drab interior of the Idris Club has probably not changed much since the 1950s. There’s still a bar which was unfortunately padlocked when I visited but then it was nine o’clock in the morning! While doing my research for this article I found that a gentleman called Geoffrey Grigson has travelled extensively in Burgess’ footsteps and has produced a series of entertaining You Tube videos called In Search of Anthony Burgess. If you are a Burgess fan I recommend you take a look.